Tomorrow is election day here in the US. Washington state has one of the most hotly contested Senate races here, but the atmosphere is relatively muted. 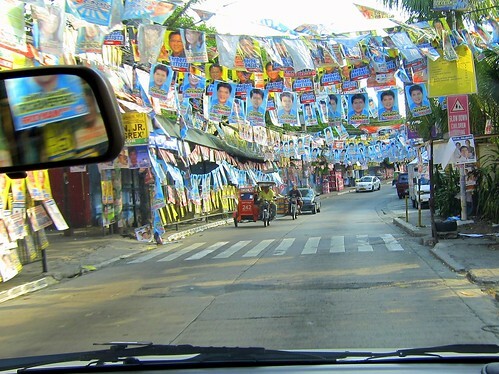 Unlike back in the Philippines, where there's a cornucopia of banners and signs and posters, and every square inch of space is covered with election material. Election day is not a holiday here. And in Washington, you don't even go to a polling center! Everyone votes by mail. It's amazing how reliable the postal service is; and how much of the voting system is based on *trust*. I wouldn't mind a few banderitas strewn here and there though. Banderitas, originally uploaded by flyingroc. How I wish I were an american! I am so envious!